Daytona International Speedway, conceived in 1953 and completed six years later, became the fastest track on the fledgling NASCAR circuit. 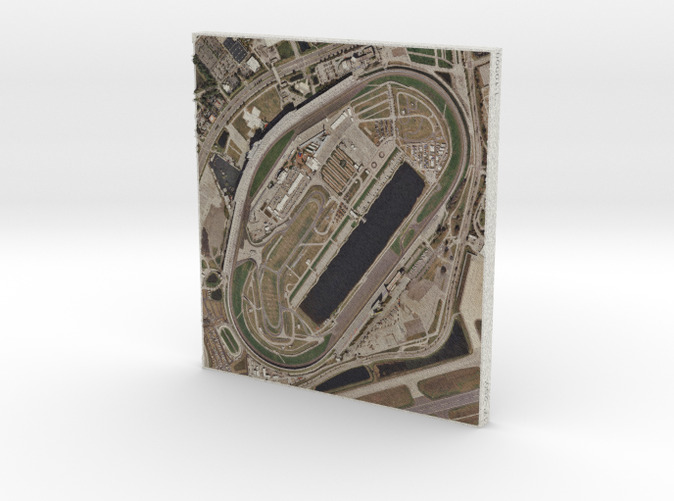 Its 2.5-mile "tri-oval" design was unique, and combined with high-banked turns (at 31 degrees), afforded patrons a clear view of the entire track. 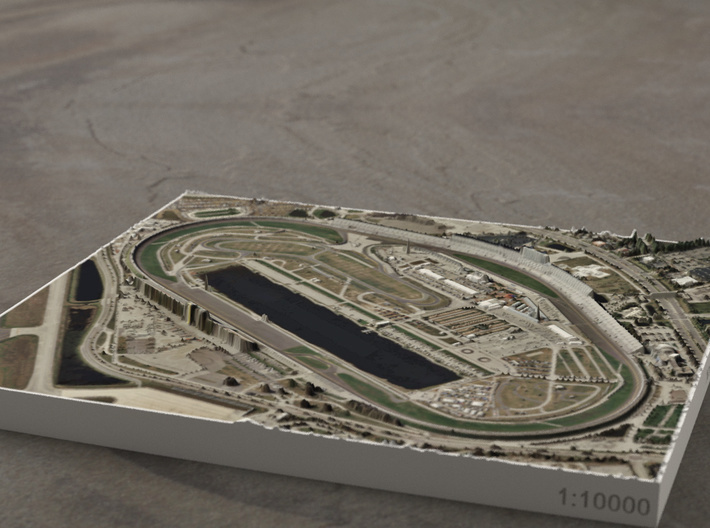 Today, the venue supports not only the main tri-oval, but a 3.56-mile sports car course, a 2.95-mile motorcycle course, a quarter-mile dirt flat track, a 0.4-mile short oval, and the occasional speedboat race on Lake Lloyd. NASCAR's biggest race of the season is featured here every February, but the track also hosts AMA Supercross and Flat Track, ARCA, Trans-Am, IMSA, WeatherTech SportsCar, and WKA series races. This model of Daytona includes the track and infield, all of the grandstands, some of the businesses across West International Speedway Blvd, Midway Ave, and a portion of the runway at Daytona Beach International Airport.